Bringing an end to a long wait, the Indian selectors have finally announced the 15-member squads for the upcoming home series against Australia. While skipper Virat Kohli and pacer Jasprit Bumrah return to the mix, Bhuvneshwar Kumar has been rested for the T20I series and the first two ODIs. Tamil Nadu batsman Dinesh Karthik was another notable name that has been omitted from the ODI squad. The selectors have banked on KL Rahul yet again as the stylish right-handed batsman has been handed over another chance to prove his mettle in the shorter formats of the game. The selectors have also rewarded leg-break bowler Mayank Markande with a call-up to the T20 side. The 21-year-old, who represented Mumbai Indians in the IPL, was quite impressive in his recent outings for India A. Also, contrary to the reports that claimed Rohit Sharma might be rested for the series, the MSK Prasad led selection panel has included the prolific batsmen in the T20I and ODI squads. Touted to be an audition for the World Cup in May, the bilateral series offers a chance for many players to impress and stake a claim for a berth in the Indian World Cup squad. 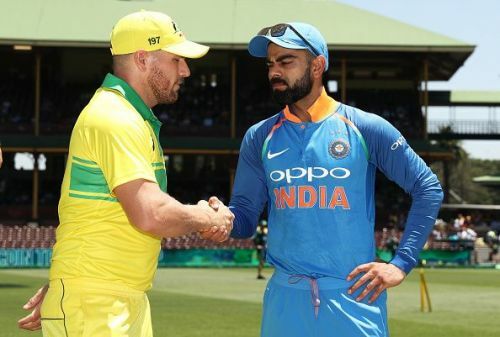 The Australian tour of India will be kicking off on 24 February when the two teams take on each other in Visakhapatnam for the first T20I. The second T20I will be played in Bengaluru before the teams don their ODI outfits for a 5-match series. Here is the list of the complete squads of both the teams for the upcoming series.